Griffin is a JAG officer, or military lawyer, in the NC National Guard and a former ADA in Wake County where he worked from 2010-2015. He was defeated in the race for Wake County DA in 2014, although he was confident he would win. 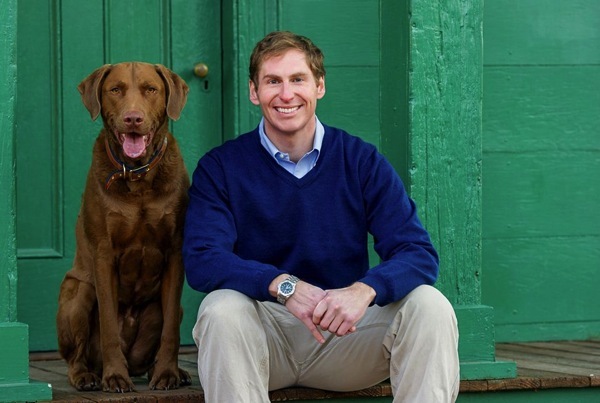 During the campaign he used “social media friendly” photos of him at farmers’ markets posing with dogs and being a “real” North Carolinian, according to INDYWeek. In 2004 Griffin wrote a letter to the editor of the News & Observer arguing that “real” diversity was diversity of thought and lamented his experience as a conservative at UNC where he faced “attacks” from close-minded professors. He wrote that conversely, “talk in the class that promoted homosexuality or its acceptance” would be a “diverse” opinion while claiming the opposite view would not be. Griffin loaned his current campaign $55,000, forgave $23,500 in loans to his campaign for DA, and contributed $10,581.30 to himself. Continue reading to learn more about Griffin. Griffin was appointed by Pat McCrory in 2015 as a District Court Judge and later won after running unopposed in 2016. Griffin is the NC GOP endorsed candidate in the race for court of appeals and prominent Republican leaders including Tim Moore and Donnie Harrison have endorsed him. Griffin’s campaign Committee ran an ad about “Washington liberals making a mockery of our judicial process” and touted his conservative leadership. Griffin has given over $20,000 to Republican candidates. Griffin is a JAG officer, or military lawyer, in the NC National Guard and a former ADA in Wake County from 2010-2015; he lost a race for Wake DA in 2014 though he was confident he would win. Griffin earned only 22.75 percent of the vote in his 2014 campaign. He previously stated, “I’m going to win this election” and used “social media friendly” photos of himself at farmers’ markets posing with dogs and being a “real” North Carolinian. In 2004 Griffin wrote a letter to the editor of the News & Observer arguing that “real” diversity was diversity of thought based on his experience as a “conservative” student at UNC. Griffin wrote that “talk in the class that promoted homosexuality or its acceptance” would be a “diverse” opinion, while claiming that the opposite view would not be. Click here to read more about Griffin.